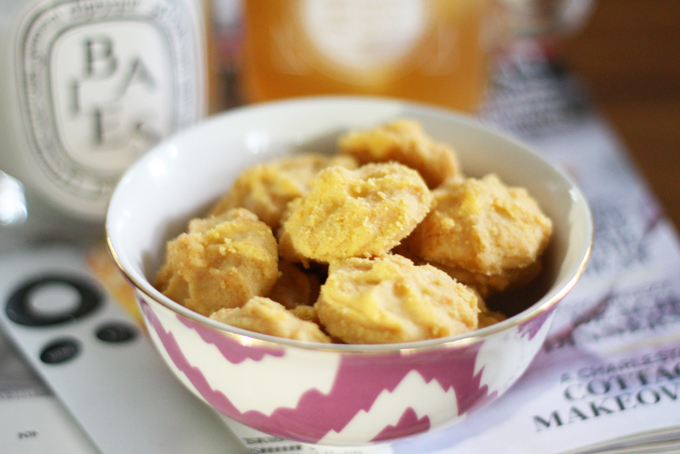 Every now and then, I catch myself forgetting that our home is different than it used to be. In fact, in my mind, I think I still picture it as the little blue house with very little curb appeal (but a whole lot of potential). Even though we have so much more space now, almost every nook of the house has been touched in some way whether through a complete transformation, like our living room, or just a little paint to bring it up to speed, like our kitchen. The truth is, we loved our little cottage before it was renovated. We didn't have a ton of extra space (and we definitely needed another bathroom), but it was quaint, cozy, and charming. As we've wrapped up construction and started focusing on furniture placement and other decor, I really wanted to maintain that same feeling. After all, at its core, our home is still the same home it was before. It just got rebranded. Think about it like this: rebranding is something that happens through the years for many businesses. If you've noticed, many of the chain restaurants of our childhood look totally different (and way cooler?) now. Other brands have done the same. 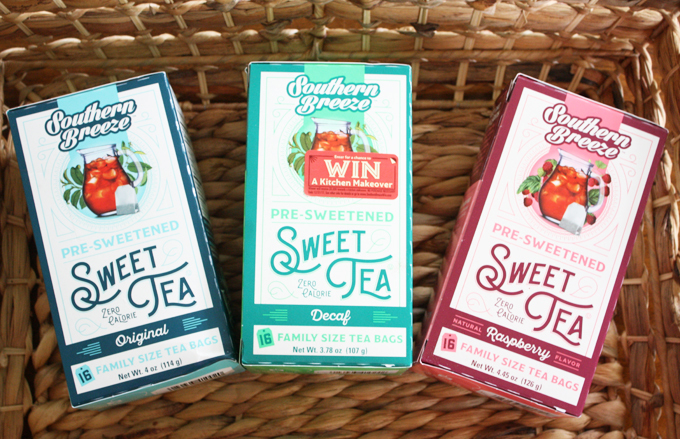 Recently, Southern Breeze Sweet Tea got a little facelift of their own. They updated their packaging, swapped some colors, and even created a new tagline. 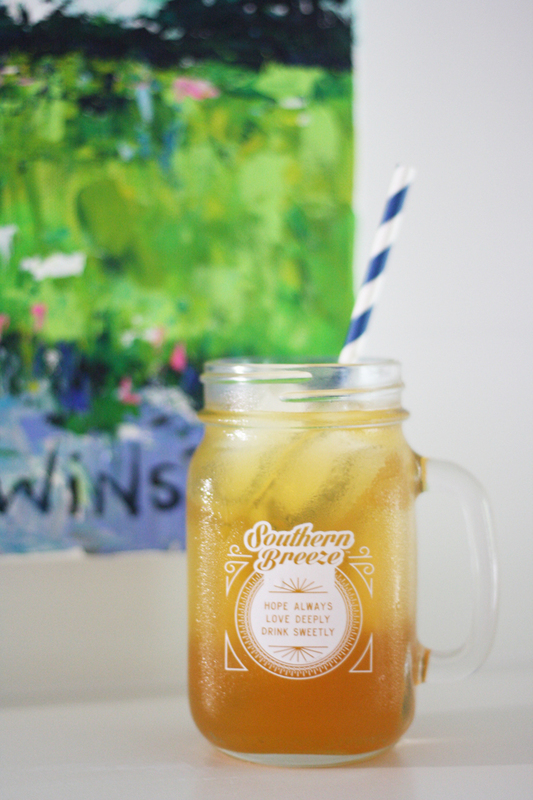 Like our home, Southern Breeze is still the same awesome, zero calorie, guilt-free sweet tea it was before. It simply got a little exterior update. 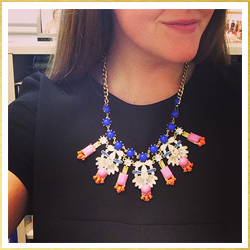 Like a new manicure or a new pair of earrings, sometimes, you just need a little update to feel more like yourself. 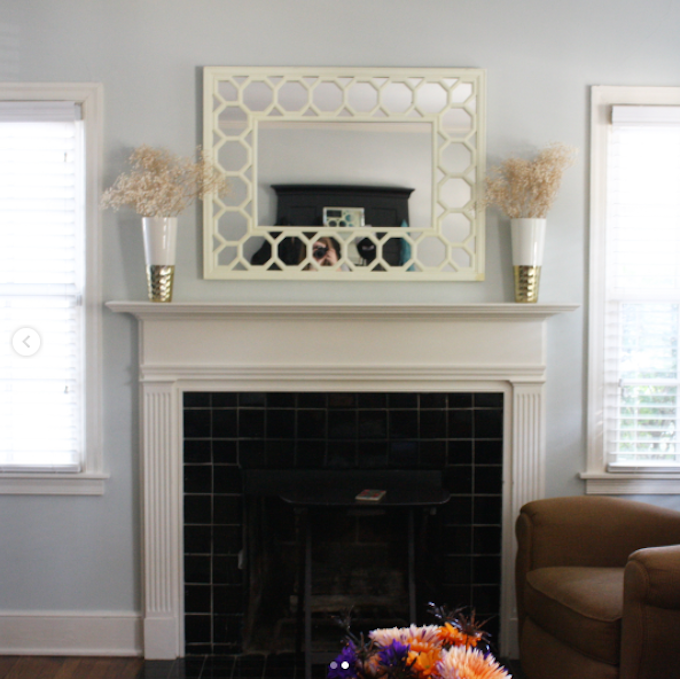 For our own living room makeover, we really focused on making our fireplace the star of the show. It took us a loooong time to choose the pretty pink brick that we finally settled on. I think we must have looked at at least 30 samples of brick! My favorite part of construction was choosing our lighting fixtures. The sconces above our mantle by Hudson Valley flank one of our largest piece of art in our collection, a landscape by Atlanta-based artist, Winston Wiant. Our bookshelves hold our electronics like our t.v. (don't worry, we're getting a bigger one eventually), and our record player and speakers. 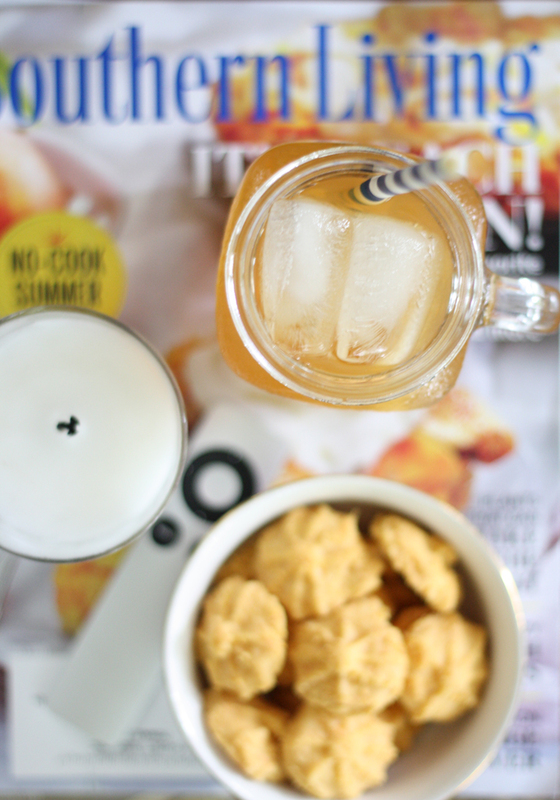 We've love having the record player when we have friends over for afternoon chats (with sweet tea & snacks, of course) or on Friday night happy hours. Ultimately, we'll trade our sectional for a sofa with two swivel gliders, but for now, I'm enjoying our cozy space. Stay tuned to my Instagram for more house updates and sneak peeks of all of the changes and facelifts we're doing around here. Our living room is only the beginning! 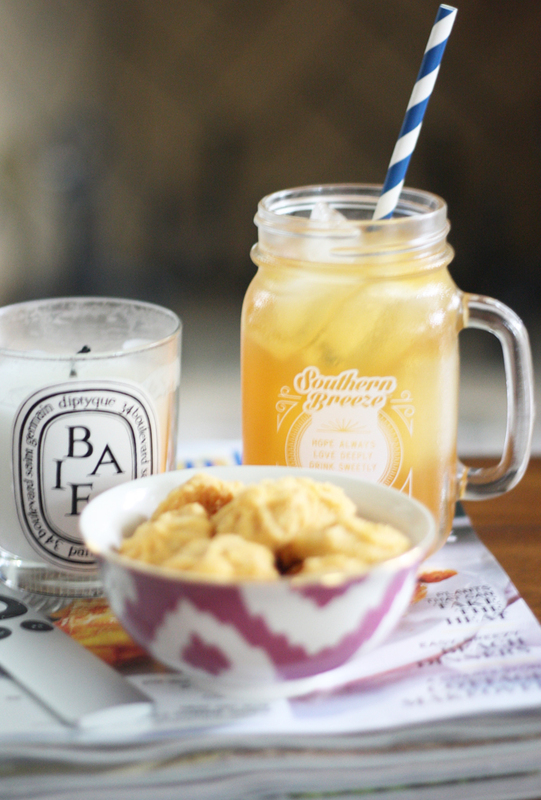 Thanks to Southern Breeze Sweet Tea for sponsoring this post. All opinions are my own.